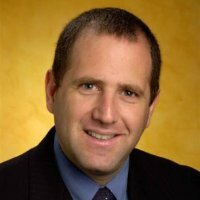 In light of Ilan Levin resigning from Stratasys, current chairman to also serve as interim CEO; Special Committee of Board to support management of the company until successor is appointed. Israeli startup Xjet announced an inkjet-style metal printer for 2016. The Objet500 Connex3 series of multi-color, multi-material 3D printers now jet a third modeling material, providing users with a wide range of material combinations and color options. 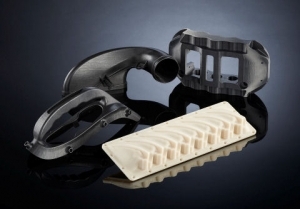 Company also releases new high-performance thermoplastic modeling material for FDM. 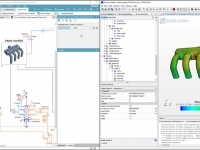 Current Objet500 users can access the new materials with a software download. 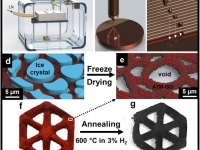 Multi-material 3D printing just might elevate your prototyping to new levels. Reseller expands 3D printer line. Designing for manufacturability has already taken a back seat to optimized design in many industries, thanks to additive manufacturing. Includes 3D printer, materials, water-jet system, training, maintenance, and technical support. Paper or plastic ... or metal, wax, bio-cells? 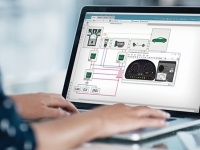 Fast builds with no tooling make direct digital manufacturing increasingly attractive.